For past few years, we have so many web services that let us send large files on Internet. Cloud storage services made is even easier to share large files directly via links. But these cloud storage services or file sharing services also have limits of few GB. What if you have file bigger than the size these services support. Of think If you want to send file of 1 TB in size. If you are thinking that it is impossible to send 1 TB file over Internet, you are wrong. 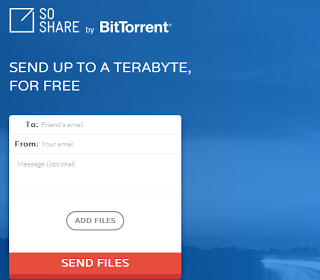 BitTorrent now offers a nice tool called SoShare. It has an option to send files up to 1 TB in size. 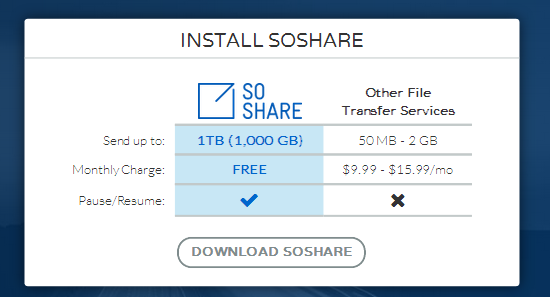 SoShare is a nice file sharing website available for free. And it does not ask for creating an account in it. When you visit the website, you will see a add file button at left side of the page. If this is the first time you are on the website, it will ask you to install SoShare on your browser. When you click on SoShare, it will download an executable file in your system. Run it and complete installation. 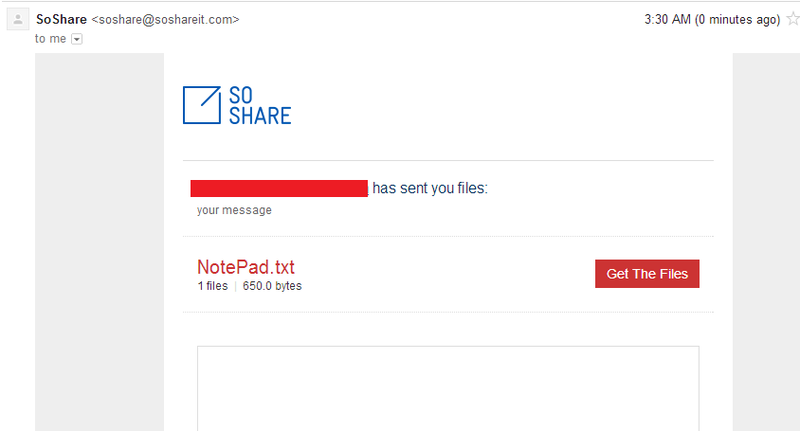 After successful installation, visit the SoShare website again, click on Add files to add files which you want to send. Add To and From email address fields. You can add as many files as you want till you reach 1 TB limit. 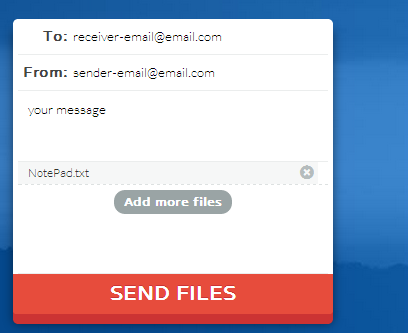 When you are ready, click on Send Files button. Download link of file will be sent to the recipient’s email address. You will also receive a notification email that file has been sent successfully. Recipient will get a message like the screenshot below. Clicking on get files link will download all files in system. In SoShare, files will be available only for 30 days. So, recipient will have 30 days to download files. Now you have one more service to send large file over Internet for free. Use this nice service and share your views with us via comments.